After a week of blue skies and sunshine I was keeping my fingers crossed that the good weather would continue over the bank holiday weekend because we had a lot of shepherding tasks to do. We’ve had a flock of Jacob sheep for a few years now and it’s grown in size from three sheep and a ram to a flock of 20, not counting this years lambs. The first few years of shepherding had a lot of ups and downs. Our first lambing definitely a highlight and our first experience of fly strike a definite low point. I think we have now settled into it and have a good routine with our flock. 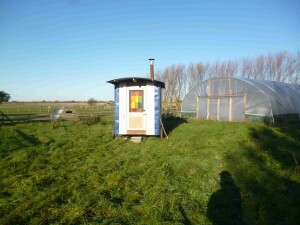 Most of the time we’re able to move them around the smallholding without too much bother. The secret is to stay calm and try to herd them together before moving them forward and let the ram go first because they are all happy to follow him. 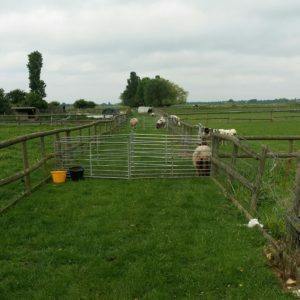 We’ve also over the years developed our own way of completing various shepherding tasks that work for our smallholding lifestyle and our flock. The first shepherding task of the weekend was to separate the lambs that were born back in February. We have had a few late arrival lambs born in the past month or so, after our ram got through a hole in the fence, and the late arrivals will be staying with their mums in the main flock for a little bit longer. 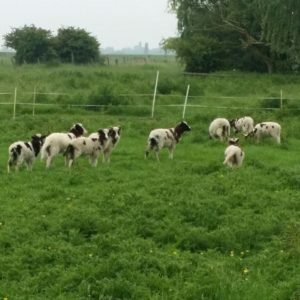 The first year we had lambs we didn’t separate them, leaving them to wean naturally, but in subsequent years we have made the decision to separate them and I do think it helps the ewes put back on a bit more condition before the breeding cycle starts again. It also means we can make better use of our pasture. To separate the lambs we first gather the whole flock into the pathway that leads down between our paddocks. 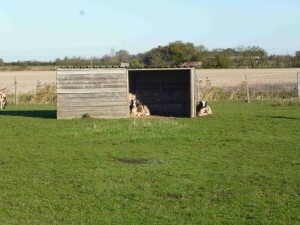 Each of the paddocks opens onto it and it’s two hurdles wide so easy to set up one or several pens when you are working with the sheep. 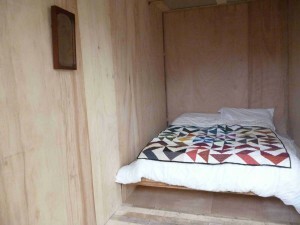 Here’s a picture of the set up. Once we had the flock gathered it was fairly easy to pick up the lambs and put them in our livestock trailer. It is much easier to move them in the trailer the first time they are separated from their mums and the main flock. 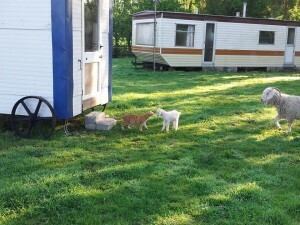 We took the trailer down to our large paddock, approximately 3 acres, and let the lambs out. For the first few hours they call for their mum every so often but they soon settle down and start exploring their new home. 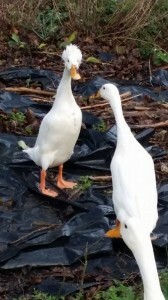 Here they are exploring their new surroundings. We also have our two horses Bob the cob and Bonnie the Shetland in the same paddock. 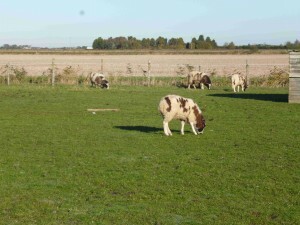 The horses are restricted in their grazing by electric tape and pretty much ignore the lamb flock. There is more than enough grass for all of them. 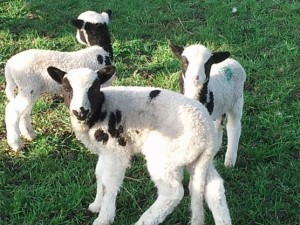 The lambs also have access to a small wood. Once we had separated the lambs it was time to start shearing the main flock. We had twenty sheep to shear. 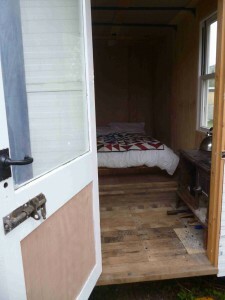 We split it up over three days and did it all ourselves. We’ve always done our own shearing. Partly because I like doing it myself, because I use our wool to spin yarn, weave and make textile art and partly because with full time jobs as well as the smallholding it’s sometimes easier to just do things yourself rather than organising your schedule so that someone else can come and do a task for you. Before we got our first sheep we went on a hand shearing course at Wimpole farm which taught the basics of shearing with hand shears. 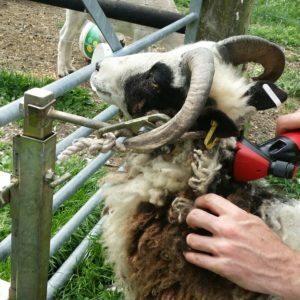 Here’s the blog post I wrote about our first shearing experience Shearing our Jacob Sheep Since then we’ve made a few changes to our shearing practice. We used to restrain the sheep ourselves in the traditional way but since we started keeping sheep I suffered a horse riding hand injury and can’t really do that anymore. So, instead of restraining the sheep by hand we now use a head gate. The sheep seem fairly relaxed about the head gate and some even take the opportunity to have a little snooze. This is our head gate. It screws onto the gate and is easily removed but stays firmly in position when in use. This is one of the flock in the head gate being sheared. As you can see from the picture we’ve been using an electric shearing machine this year. Up until now we’ve used hand shears only but with a larger flock decided to get an electric shearer. 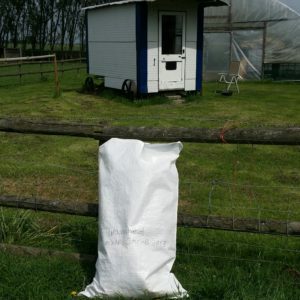 We went for the Zipper II which we bought online from Supplies for Smallholders . It’s really easy to use and speeded up our shearing a lot. Here’s a picture of what you get. 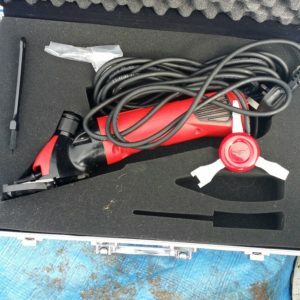 It comes in a nice carry case with all the tools you need, some shearing oil and easy to understand instructions. After a once over with the Zipper II we then did a quick tidy up with the hand shears, particularly for those hard to reach areas. I don’t use traditional hand shears. 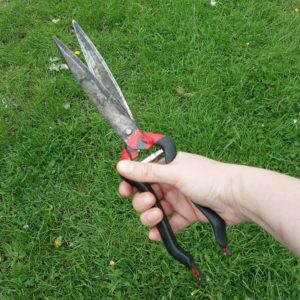 When I first started shearing my sheep I was recommended Jakoti shears as being much easier to use than the traditional sheep shears. I would definitely agree with the advice I was given and recommend any first timers give them a go. Here’s a picture of my Jakoti shears and this is the link for Jakoti handshears which will tell you more about them. I used to use cardboard boxes but prefer the rubble bags because I find them easier to move around. 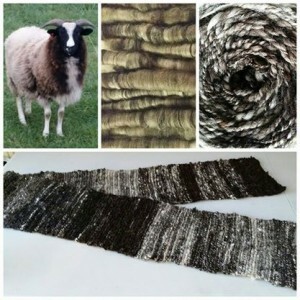 I store our wool unwashed and then wash it as I need it throughout the year. We have a dedicated fibre storage room in one of our outbuildings which is rodent free. I’ve never had any problems storing my wool unwashed but I know some people advocate washing before storage. For me that wouldn’t be feasible and my current system works really well. 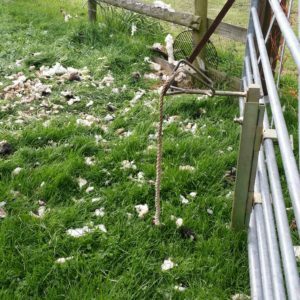 If you’re thinking about shearing your own sheep, give it a go. You don’t have to do them all at once and I’ve found both hand shearing and using an electric shearing machine easy to get the hang of. For Hooters Hall 2014 was very much the year of the goat. We expanded our herd of angoras and also added some British Guernseys. We also had our first Hooters Hall born kid little Molly. Sadly we lost the lovely Sugar (one of our Guernseys) but her daughter Spice is doing well and is hopefully pregnant. Here’s Molly 20 minutes after she was born and a few days later meeting Bran one of our farm cats. Molly wasn’t the only newborn at Hooters Hall. 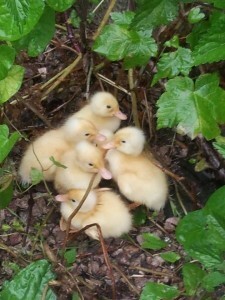 The ducks managed to successfully hatch some eggs and we now have 10 ducks instead of 2. The new ducklings also have some stylish quiffs. We had a sucessful lambing with our Jacobs and our Jacob fleece is proving very popular with spinners and fibre artists. Here are some of the 2014 lambs and some pictures of fleece hand processed into rolags for spinning, handspun yarn and a hand knitted scarf. The natural colours of the Jacob fleece make a beautiful fabric. Our rare breed, 100% Gloucestershire Old Spot sausages and burgers were really popular this year and we sold out really quickly ( we’ll have more in the farm shop around April). 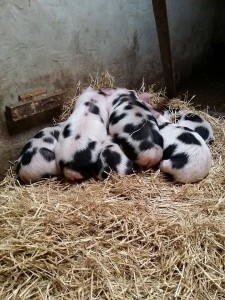 To keep up with demand we’ve started breeding our own Gloucestershire Old Spot pigs. We have two sows Beatrice and Eugenie. After a visit from Mr Boar Beatrice had her first litter at the end of October and we’ve just weaned the piglets. Here they are having a nap. Our plans for 2015 include more fibre craft. 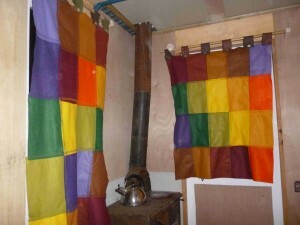 We’re going to be experimenting with dying our mohair with natural dyes from British native plants grown at Hooters Hall, selling both the dyed fleece and the dye plants in the farm shop. If Spice the Guernsey is pregnant we’ll hopefully have some interesting fleece from her kid. I’ve got my fingers crossed for a fleece with the golden colour of the Guernsey but fibre quality of the Angora. 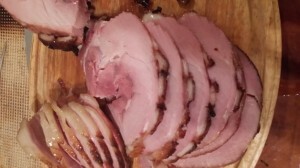 There will be more 100% Gloucestershire Old Spot pork sausages and burgers all handmade at Hooters Hall and maybe some hams as well. 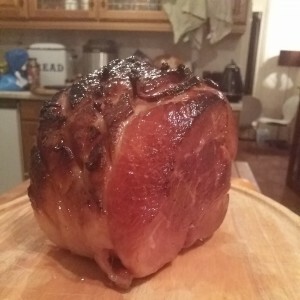 We made some glazed and smoked ham for ourselves this Christmas and it was delicious. 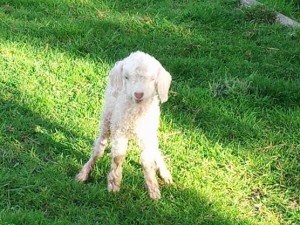 If Spice the Guernsey does have a kid we’ll also have goat milk and will try making some goats cheese. We’ve got a bit of a change of direction for the polytunnel planned in 2015. We’ve spent the last few weeks planting a variety of fruit trees and soft fruits and we’ll be adding more grapes as well. As well as lots of delicious fruit I’m planning on using parts of the fruit trees, soft fruit as natural dyes for our mohair. You can also find HootersHall on instagram and Twitter. We’re still finishing off our first set of Hooters hall lambs but it’s already time to start thinking about next years lambing. This weekend we gathered all the sheep in and gave them a quick MOT before letting Jim the ram get started with tupping. He was getting quite excited and seems very happy being back with his ewes. 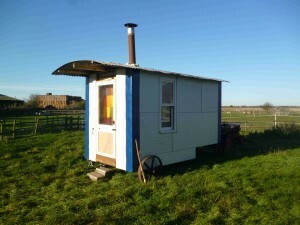 Just in time for the start of the shepherding year we’ve managed to finish building our shepherd’s hut. 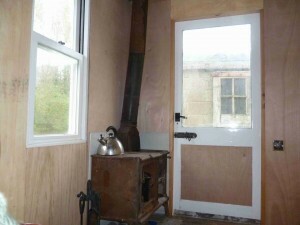 It’s all been made from reclaimed materials and has it’s very own log burning stove to keep any shepherd’s cosy and warm. 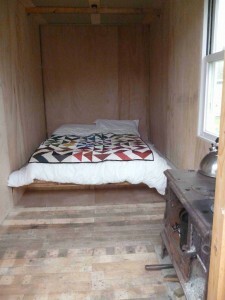 We’ve got a bit more decorating to finish off but it makes a great guest bedroom.